London is a cultural hub dedicated to finding and preserving great British artistic and architectural contributions. As well as the must visit tourist attractions and iconic sights such as London Bridge, the Tower of London and Houses of Parliament, there are plenty of hidden gems in this magnificent city that most don’t get to experience. To help you explore a few of off-the-beaten-track locations, we’ve compiled a unique list of the more unusual yet still major sights to see from the Devonshire, perfect for trips all year round. Alexander Fleming was a notable physician, microbiologist and pharmacologist whose discovery of the antibiotic penicillin saw him awarded him the Nobel Prize in Physiology of Medicine in 1945. Fleming’s achievements are now displayed at the Alexander Fleming Laboratory Museum, located in the heart of Paddington. The museum is a reconstruction of the laboratory Fleming used while he was working on his discoveries, with examples of equipment that he would have had access to at the time. As you walk around, you will be told Fleming’s story; how he became interested in medicine, the techniques he used to investigate his scientific theories, how he came to discover penicillin and the effect that the drug has had on the world. The vivid storytelling and aesthetic brings Fleming’s story to life, and is truly one of the major sights to see from the Devonshire if you’re looking for something a little unusual. London is a capital that is famous for its art scene, but instead of visiting numerous galleries and parks and street art tours, why not inject a little bit of fun into your day by taking part in the Paddington Public Art Trail? There are guides available in Paddington Station and via the App Store to help you navigate the trail with ease. The trail begins at Paddington Station, near the statue of the unknown soldier at platform one. Using your guide, you’ll follow Paddington all around the area, stopping at sites that are culturally significant to the city of London, in areas such as engineering, literature, science, etc. At each stop you’ll find different pieces of art with 22 to visit in total. Located within walking distance of the Paddington Hotel London, the Paddington Art Trail is a fun way to see the sights and absorb as much British history as you can in an afternoon. The Diana Princess of Wales Memorial Walk is one of two projects officially opened on 30th June 2000, with the other being the Diana Memorial Playground in Kensington Gardens. 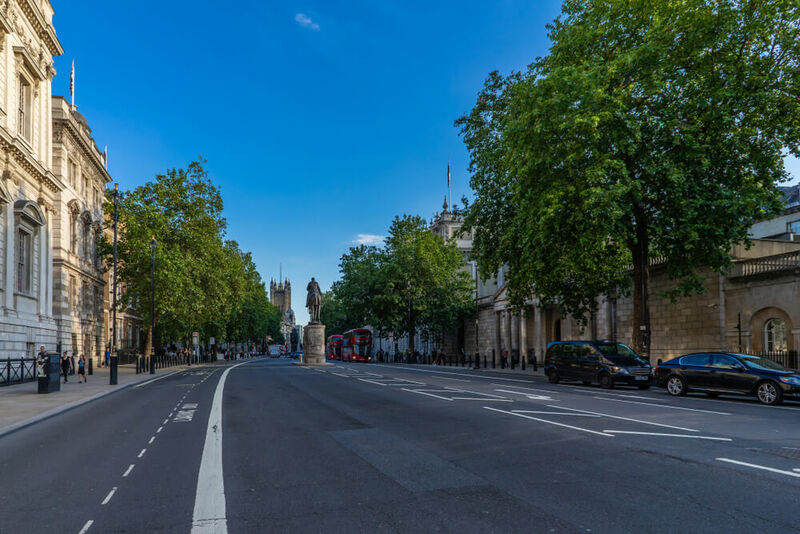 The memorial walk is 7 miles long, and takes you to or within sight of many famous buildings and locations associated with Princess Diana during her lifetime. The walk includes a trip through four of the Royal Parks, St James’s Park, Green Park, Hyde Park and Kensington Gardens, making it a wonderful itinerary on a clear day.